Hello and welcome to our coverage of the Best Chef Restaurants in Jerusalem. While in Jerusalem, you will find yourself surrounded by great food all over, from small places that offer Burekas and falafel, to luxurious restaurants with exclusive food With that Jerusalem taste. This restaurant is a Jerusalem’s classic. It is located at 10 Beit Yaakov St., Jerusalem. The atmosphere and the food in this establishment are something you must experience first-hand. The Lead Chef here is Asaf Granit which is well-known by his TV program in Israel where he transforms bad and dysfunctional restaurants and “Fixes” them, As well Asaf Granit is Known as one of the best chefs in Israel. 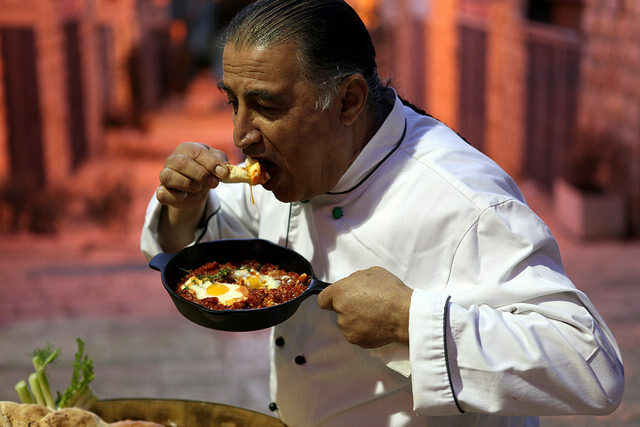 Some dishes are Jerusalem-specific such as Shakshuka or Fattoush. Moreover, in this place, you’ll find almost everything that you need to try from the Israeli kitchen. Make a reservation by calling 02-533-3442. On the top of the luxurious Mamilla hotel, you will find Rooftop, a restaurant that collected all the best recipes from the local Israeli cuisine. Aside from the great food, Rooftop has to offer a terrific view of the old city of Jerusalem. Visit this terrific place at 11 Shlomo HaMelekh St, Jerusalem. A perfect place to get away from the city rush since it’s a bit far from the center but pretty well connected. It’s a wonderful place to have a quiet lunch with your friends, family or business associates. The food at Menza is the best recommendation for this restaurant. There’s a huge variety of Israeli kitchen delights to choose from, including vegan options. It is open even on the Sabbath which is quite handy since not many places work on Sabbath. 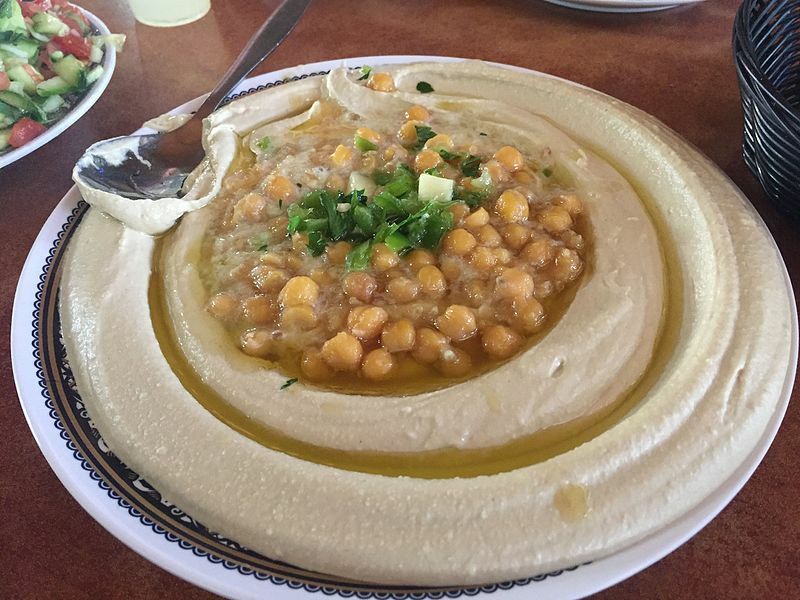 This one is not a chef’s place but we needed to include this in this Best Chef Restaurants in Jerusalem post As this place has one of the best and different hummus in Jerusalem. You can both eat hummus and purchase a couple of kilos to go. All the traditional Israeli food can be found in this establishment at 3 Ben Sira, Jerusalem, Israel Falafel, pitas and eggplants at affordable prices. The Eucalyptus is one of the best restaurants in Jerusalem. It is located at 14 Khativat Yerushalayim. It is often very crowded so you should make a reservation by calling this number +972 2-624-4331. The Eucalyptus, even though the name wouldn’t suggest it, has a huge variety of different food to offer. Basically, it is regarded as a steakhouse but they prepare Israeli dishes and vegan meals as well. The staff is very friendly and the chef is kind enough to exchange a couple of words with each individual customer. The place has a really nice setting and it is located close to the Old City. You can seat outdoors or indoors but make sure you make a reservation since this place is packed almost all the time. First-class service and probably the best restaurant in Jerusalem.